These small mammals, native to South America, are known for their luxurious, soft fur and boisterous, playful personalities. They are quiet creatures and very low maintenance pets. However, there's a lot you need to know to keep this long-lived rodent happy and healthy. Barron's Pet Handbooks are written, designed, and illustrated in much the same attractive style as Barron's best-selling Complete Pet Owner's Manuals. However, Handbooks have a larger page count and with it, more extensive and detailed coverage of each title's subject pet. 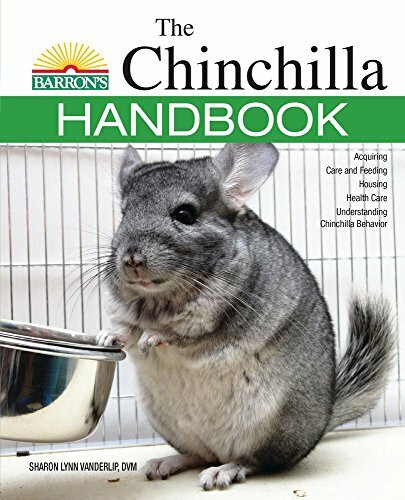 This updated edition for chinchilla owners provides a wealth of information on the animal's anatomy and life cycle, plus advice on housing, feeding, training, and health care.